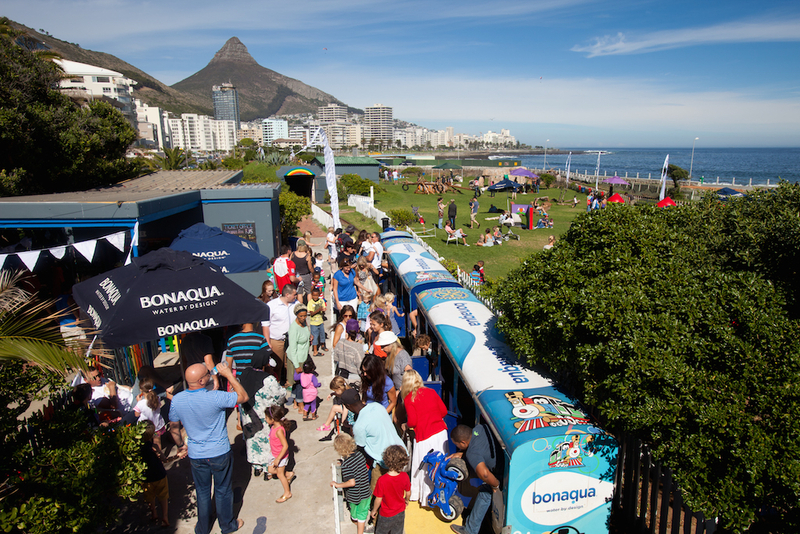 Besides our famous “Old Lady” Mini Blue Train, the park also has a Mini-Skate park including a 6m half pipe, dirt bike track, cement push bike track, Pedal Push Carts, a 30m zip-line, 2x 8m long slide, see-saws, climbing rock, two Jungle gyms, obstacle course, an astro turf soccer pitch and a bunch of other wonderful play features. 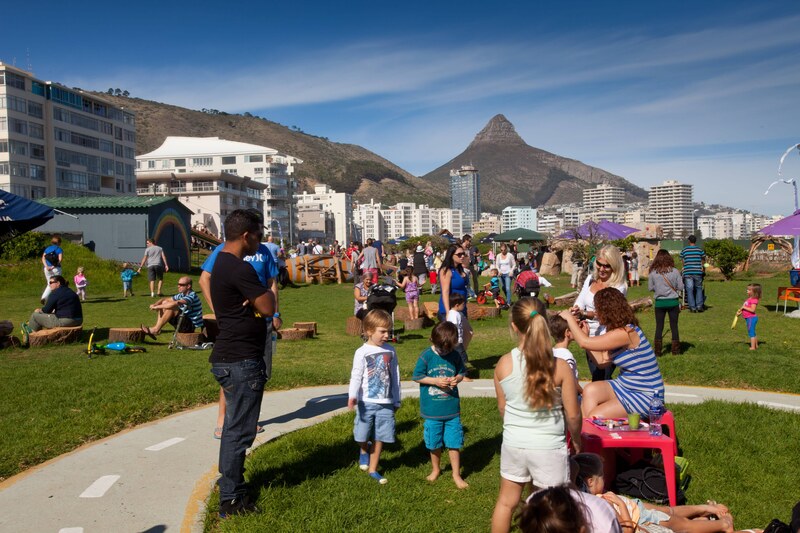 10,000m2 of outdoor seafront front play area for kids to run wild. There is also a small kiosk offering a selection of ice creams, chips, cold drinks, sweets & other yummy treats. 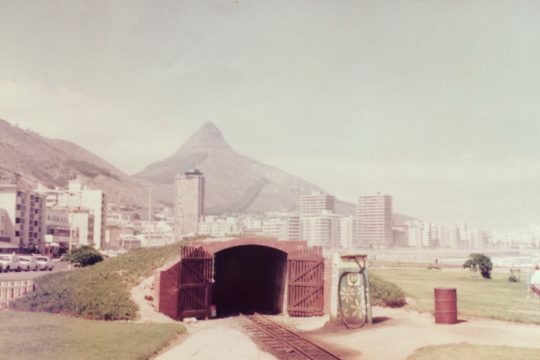 train for some 30 years, eventually retiring in 1987. 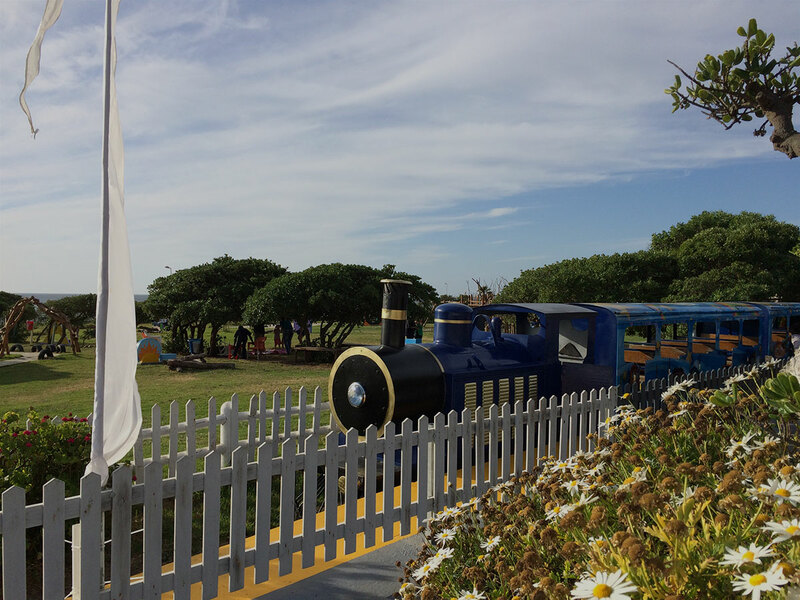 (incl 1 Free Train Ride).